Partly British, very secure and enchantingly beautiful: the yacht charter destination Bahamas, located between the Caribbean and the Atlantic Ocean, are unique sailing waters and an attractive holiday area nearly all year long. Most sailboats and catamarans for bareboat charters are based in Marsh Harbour in the Abacos. Many luxury charter yachts, super yachts and catamarans with crew start from Nassau or other ports and are cruising all areas of the Bahamas including the fantastic islands of the Exumas. 700 islands, of which only 30 are inhabited, extend as far as 600 nautical miles off the coast of Florida to the North and Cuba to the South. These waters and island are protected by 22 national parks. Parts of the enchantment are over 2000 coral reefs, the Cays. Yacht charter Bahamas crews will absolutley enjoy the picturesque underwater world. These shallow waters, the name “Bahamas” derives from “Baja mar” – Spanish for low sea, are especially suited for sailing with catamarans. New Providence has the most inhabitants with over 200.000 people living in and around Nassau. The biggest island with close to 8.000 inhabitants is Andros, closely followed by the twice as populous island of Abaco in the North, the island of Inagua in the South and Grand Bahama in the North of the Archipelago. 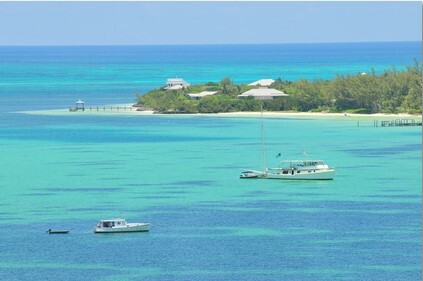 The population on the Bahamas derive their income mostly off the tourism industry. 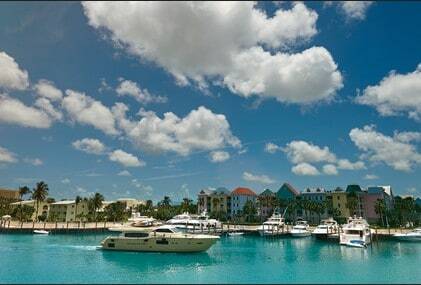 The Bahamas are also an important financial centre. Other economic sectors that are accelerating are the boat building industry as well as the extraction of sea salt. Yacht charter Bahamas crews will hardly sail the whole of the Archipelago in one go – the Abacos offer a perfect sailing aera for a yacht charter holiday in the Bahamas. Regular tradewinds, clear and calm waters, snorkel areas which offer great views, perfect white beaches and small villages with colorful painted houses are ingredients for a dreamlike yacht charter Abacos trip. Most of the charter yachts set off in Marsh Harbour on the island of Great Abaco and explore the waters of the Abaco Sea, which are very protected due to coral reefs, between Great and Little Abaco. Distances between sandy Cays and islands are short, bay after bay -like pearls on a string – and one lovely spot for snorkelling with colourful coral reefs follows the other. One of the most beautiful under water areas is the Marine Park near Fowl Cay. Other cruise stops could be the Great Guana Cay, Gorda Cay, Green Turtle Cay with a deluxe resort and an interesting sculpture park, Elbow Cay, Man-o-War Cay or Mores Island. The charm of New England awaits you in New Plymouth or Hope Town – the red and white striped lighthouse near Hope Town, only eight miles from Marsh Harbour, is rated as a veritable sight. In the Bahamas the sun also shines in winter, but some sailors might find it too chilly between November and February, when cold fronts waft over from the main land. The best season for Yacht Charter in The Bahamas is from March until August with its constant trade wind. This season is followed by the Hurricane season which lasts until October / November. Yacht charter Bahamas crews mostly fly in via Miami. There are important yacht charter fleets with sailboats and catamarans for bareboat charters in the Bahamas that are not listed in our Yachtfinder – please ask for offers. And of course we will be glad to send you offers for the most beautiful luxury charter yachts with crew in this area as well. The Bahamas are an extremely popular destination for charter holidays aboard luxury yachts, super yachts or crewed catamarans. Here you can find more information about luxury yacht charter. 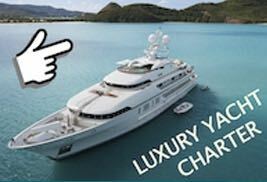 We would will be glad to organize your luxury yacht charter cruise in the Bahamas – please ask for offers!